Rio de Janeiro – World Sailing – As the RS:X fleets did battle in their Medal Races, the Finns, 470s, and Nacra 17 fleets continued their racing across Rio de Janeiro. Giles Scott (GBR) has won gold in the Finn with a race to spare. The reigning Olympic Champions in the Men’s and Women’s 470s are struggling to defend their titles. And the oldest sailor in the competition is showing his young Nacra 17 rivals the way round the track. 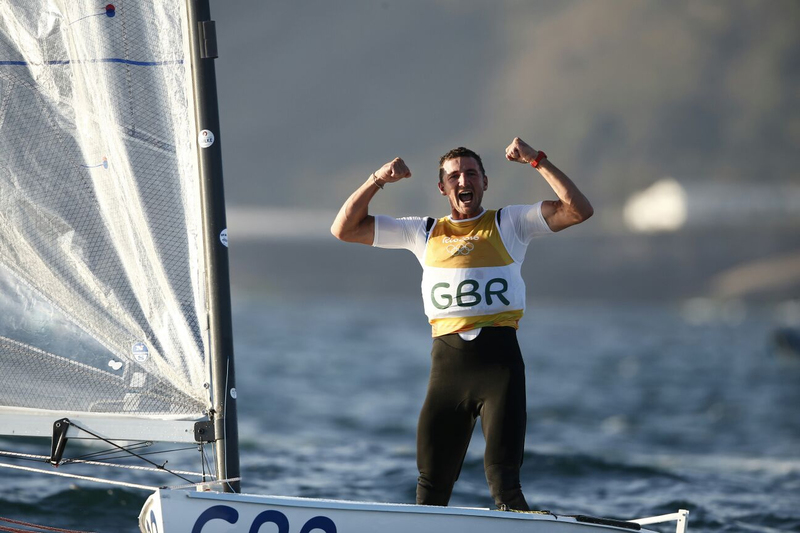 Giles Scott (GBR) won the gold medal in the Finn without needing to contest the Medal Race on Tuesday. The four-time and reigning World Champion was always expected to dominate the competition in Rio but where other favourites have faltered at this tricky venue, the Great Briton has delivered exactly what was expected of him. An eighth and second place from Sunday’s races on the Niterói course were sufficient to give him the winning margin. Scott doesn’t normally show much emotion, but today he did. “I know what it meant to me because of the way it made me feel towards the last stages of that final race. I just found myself welling up and in tingles as it slowly dawned on me what I’d done. I wouldn’t put myself down as the emotional sort but I had a little cry to myself which I like to think I don’t do that often. Just the emotions that come out of you in that situation you can’t prepare yourself for. It’s been amazing. “When we put the campaign together after London, Matt [Howard], my coach and I we decided that we wanted to campaign flat out. 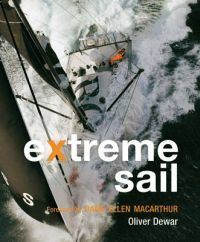 We weren’t going to go soft in any regattas and everything we went to, we wanted to win and win it in style. With a 24-point lead over second place, Scott will sail Tuesday’s Medal Race as a formality. Vasilij Zbogar (SLO) holds a 13 point lead over Ivan Gaspic (CRO), which sets up the Slovenian nicely for the silver medal, while the Croatian will have to be mindful of the fourth and fifth placed sailors, Caleb Paine (USA) and Max Salminen (SWE) in the fight for the remaining medals. Jo Aleh and Polly Powrie (NZL) won race six of the Women’s 470 only to discover they had been UFD disqualified for crossing the start line too soon. Having already picked up a disqualification from race one, the reigning Olympic Champions now have a mountain to climb if they’re to win a repeat gold. Hannah Mills and Saskia Clark (GBR) continue to hold the lead, although the team now closest to them are the Americans four points back, Anne Haeger and Brian Provancha (USA). Third place is held by Tina Mrak and Veronika Macarol (SLO), although just a point behind are reigning World Champions Camille Lecointre and Hélène de France (FRA) and a point further behind the French are Ai Kondo and Miho Yoshioka (JPN). Sime Fantela and Igor Marenic (CRO) have extended their lead over arch-rivals Mat Belcher and Will Ryan (AUS). Once again, whatever the wildly variable conditions in Rio can throw at the Croatians, they seem to have an answer and today the result was 3,4 for Croatia, 8,10 for Australia. With an 11-point gap between them, Belcher will really need to turn it on for the final three qualifying races if he’s to retain his Olympic crown. 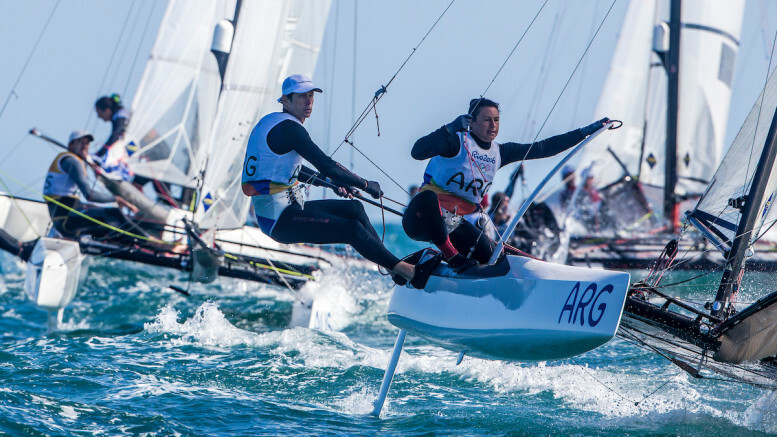 Santiago Lange and Cecilia Carranza Saroli (ARG) have won the qualifying series in the Nacra 17 fleet after rounding off their scores with a second and first place. This means that Lange, the oldest competitor in the Olympic sailing competition at 57, holds a five point lead over Vittorio Bissaro and Silvia Sicouri (ITA) going into Tuesday’s Medal Race. There are seven teams with a shot at gold, the others being AUT, AUS, NZL, SUI and FRA. Billy Besson and Marie Riou (FRA) couldn’t follow up with the quite the stellar performance of the previous day, yet the four-time World Champions do have the slimmest of opportunities to come away with the Olympic title. That would be quite a turnaround after the week Besson has endured with his painful and debilitating back injury.